A 23-day-old girl was admitted to the emergency room because of respiratory distress. On physical examination, there was no abnormality except tachypnea, and there was no hepatomegaly. She had hypoglycemia (32.0 mg/ dL), lactatemia (8.0 mmol/L) and hyperuricemia (9.2 mg/ dL). Other routine blood tests, urinalysis, and chest X-ray were normal. She was the first child of consanguineous parents. She was born at 38 weeks’ gestation and weighed 2300 g. Blood samples were obtained for metabolic tests. After hospitalization, hypertriglyceridemia (569.0 mg/ dL) was determined. The size of the liver was normal on the ultra-sonographic (USG) examination. Metabolic tests [tandem-mass spectrometry (MS), blood amino acid chromatography, urine organic acids] determined normally. With these findings, the patient was thought to carry GSD1A disease. Her daily diet was planned for 65.0% of total energy intake from carbohydrates, 15.0% from protein and the remainder from fat (with high linoleic acid content). Informed written consent was obtained from parents. 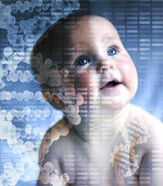 To confirm the diagnosis, mutational analysis of the G6PC gene was performed by direct DNA sequencing. Genomic DNA was isolated from peripheral blood of the proband and her family using a DNA isolation kit (RTA Laboratories, Kocaeli, Turkey). To identify any mutations the proband might be carrying, exons of the G6PC gene including exon/intron flanking regions, were amplified by polymerase chain reaction (PCR) with specific primers that were designed using Primer 3 software (http:// ihg.gsf.de/ihg/ Exon Primer.html) and H Taq polymerase (Zeydanlı, Ankara, Turkey). Standard PCR conditions with 35 cycles were used and performed on a 9700 Thermal Cycler (Applied Biosystems, Foster City, CA, USA). The amplified products were purified by using Zymo Research Sequencing Clean-up Kit (Epigenetic Companies, Irvine, CA, USA). Cycle sequencing was performed with the BigDye Terminator v3.1 Cycle Sequencing Kit (Applied Biosystems) on an Applied Biosystems® 3130 Genetic Analyzer. The sequence data were analyzed using sequencing analysis v5.3.1 software program (Applied Biosystems) and compared to the reference sequence (GenBank Accession Nos. NG_011808.1, NM_000151.3, NP_000142.2). Lactatemia and hypertriglyceridemia have continued in the follow-up examinations. At 9 months of age, USG revealed mild hepatomegaly (craniocaudal length = 100 mm) for the first time, but there was no hepatomegaly on physical examination. Liver functions were normal.